Chefs are much like artists. They spend years in learning the art of food making and then go on to experiment and develop their own style and menu and presentation. For many, life of a chef might feel like that of a celebrity – after all, they’ve seen a couple of chefs smiling and cooking and traveling on TVs and magazines and blogs. But the truth is being a chef is a big challenge. A chef spends a good deal of his or her time in the kitchen, often standing for hours on the kitchen floor preparing food, and ensuring the best experience for guests every day. As chefs, you don’t get a second chance. You either please your guests or send them back cursing you. At Warrior, we’re a team that is driven by passion and food. We love food. 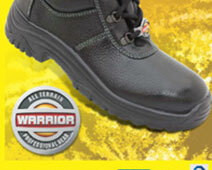 And we love innovating and experimenting with our range of Warrior Safety Shoe Gear. And we’ve developed a fine range of safety shoes for the kitchen warriors, for the chefs. Not only these shoes are crafted intelligently to be light weight, comfortable, but are also high on looks. You can pick from a collection of shoes that are full on colours, designs, patterns, and safety. With our hospitality safety shoes on, you won’t have to worry about the slippery surfaces that your kitchen floor often turns into. 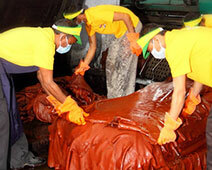 The soles of the shoes are designed to be slips and trips resistant. So no more slipping or falling or tripping. And even if something heavy – like your pots – falls on your feet, your feet will be safe. Because these shoes are built to withstand extreme shocks and impacts. Moreover, our range of hospitality shoes is light on pocket. 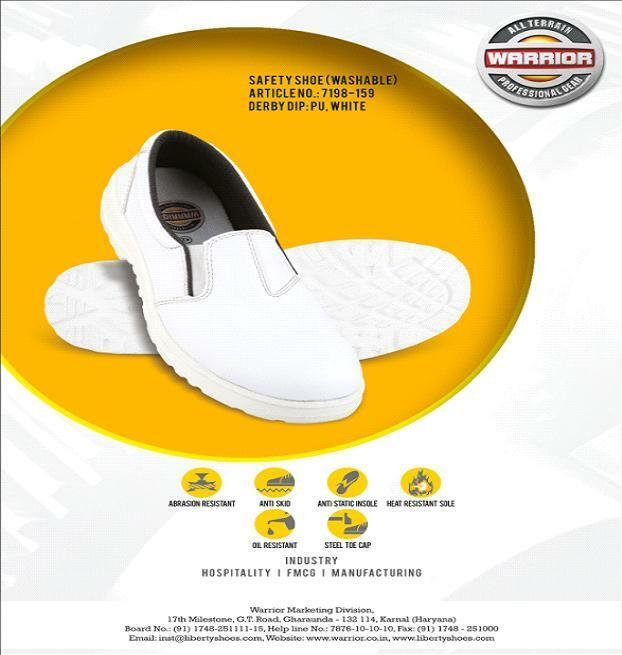 And the minute you put on a pair of Warrior shoes – which come from the house of one of India’s leading safety shoes manufacturers and suppliers – you get the feel that you’ve got the best value for your money. We’re done for this post. If you’ve something up on your mind about our hospitality safety shoes range, please drop us a comment below and we’ll get back to you shortly.